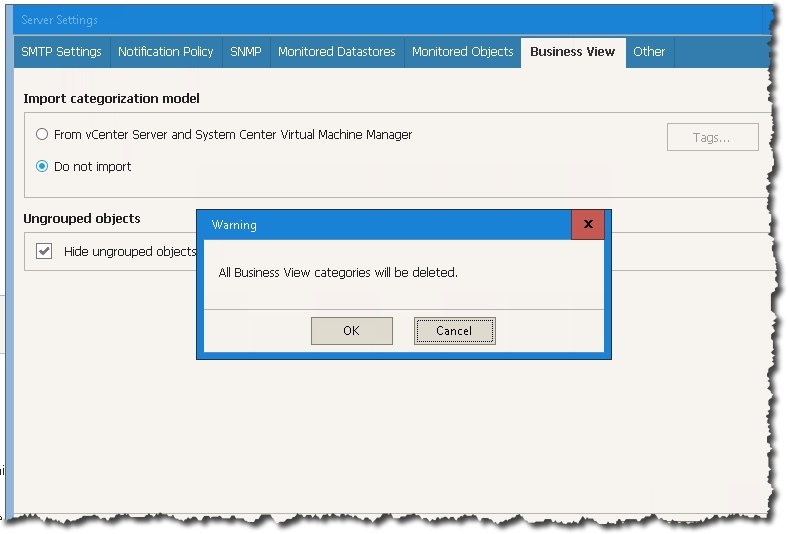 So, you cannot use tags to protect your VMs? 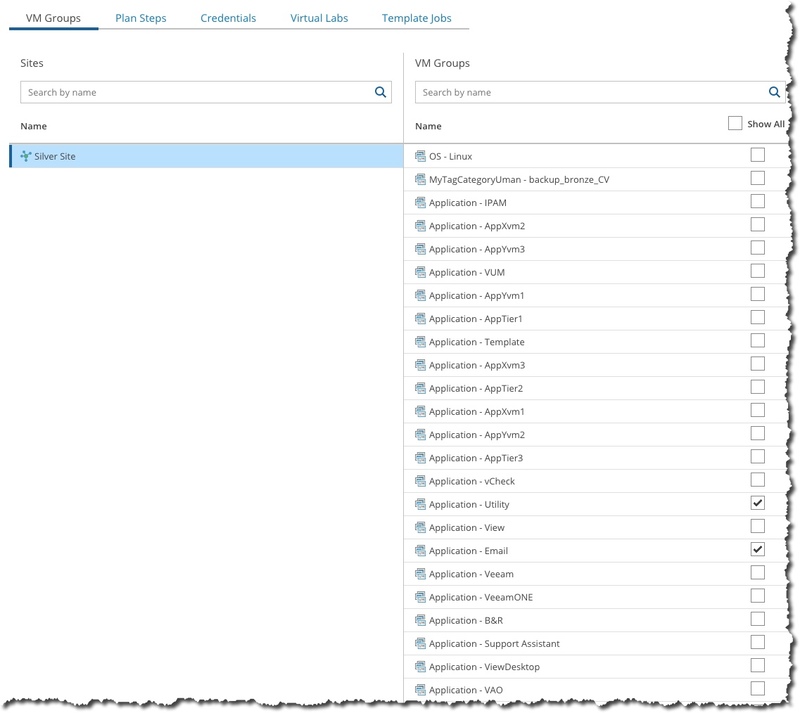 In Veeam Availability Orchestrator (VAO) you have by default the ability to protect virtual machines by vSphere tags, and it works pretty good. However, I know a customer who is on vSphere 6.0 and tags are not working so they need a new method of selecting VMs to be protected. It turns out we have another way to do it but it has a few steps and is not so obvious so I thought I would detail it here! 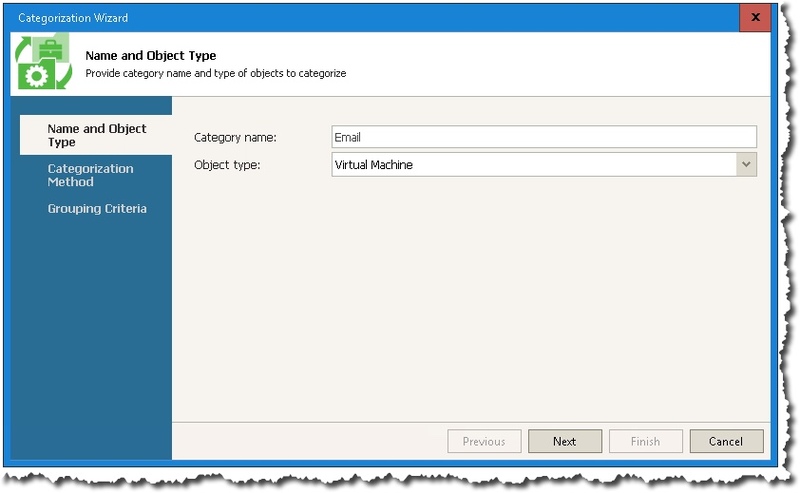 vSphere tags are easy to work with – either with PowerCLI or in the vSphere Web Client and VAO reads the tags / categories and it makes it very easy to protect things. I use a system of tags and categories in my lab with Application for the category, and the name of the app for the tag. It looks like the screen below. The check-mark means to show that tag inside VAO and the absence of the checkmark means to not show it. A nice way to keep things tidy. But if you cannot do tags, what can you do? It is called Business Rules. 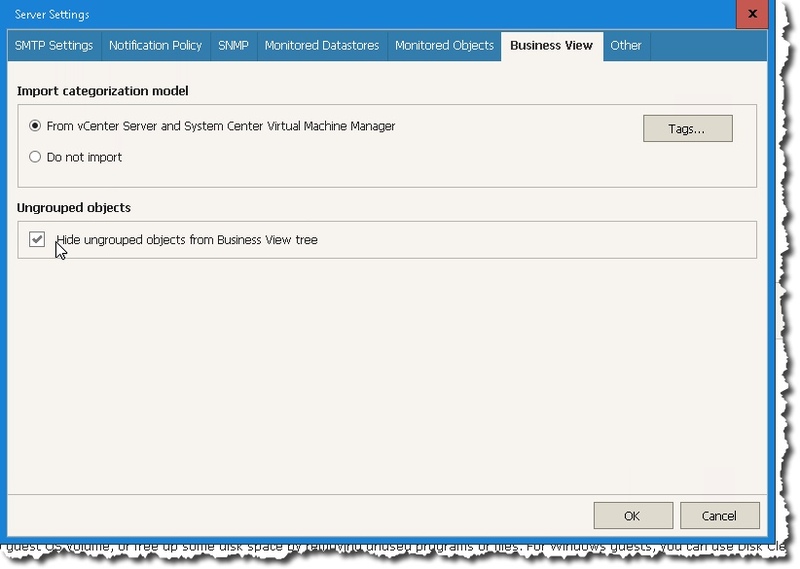 You need to start the VeeamONE monitor client that is part of VAO – so on the desktop of the VAO server. We need to change to the Business View tab. Now we select the Do not import option that we see above. Important note – it removes all the current tags and categories. Now select OK (twice) to save the changes. So we have said to not use tags, and it may take a bit, but the tags will be gone. But, we can also enable the tags through the same process so that is good. BTW, if we do that, the tag button that is seen above and grayed out is to exclude certain tags. Normally you don’t need to do that. 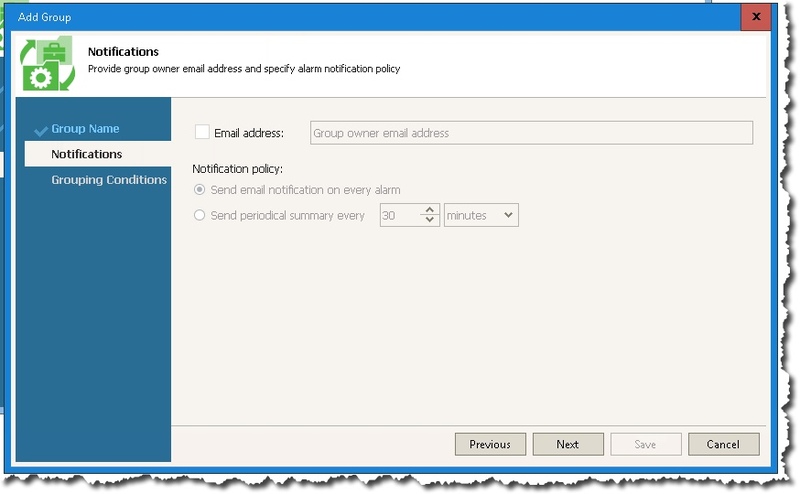 We are going to do a rule to select our Email servers, as well as our Utility servers. Again, we start in VeeamONE Monitor. 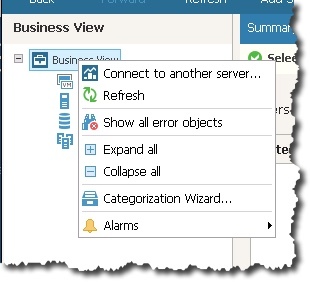 Now right click on Business View and select Categorization Wizard. We need to name our rule – in this case Email. Now we select our method to categorization. Important to note we need multiple conditions to allow us to select by VM name. Now we can select the VM. First we do a group name. Next screen is not really useful for us. 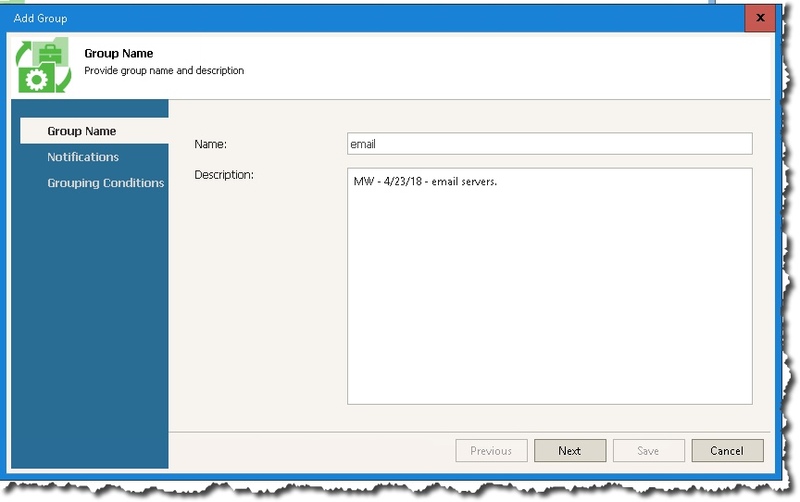 The default rule is Computer Name equals, and we enter our mail server name. BTW, the Property field has quite a list of options. We don’t need to do any other rules, so we can hit Finish. Now, how do we know it worked? 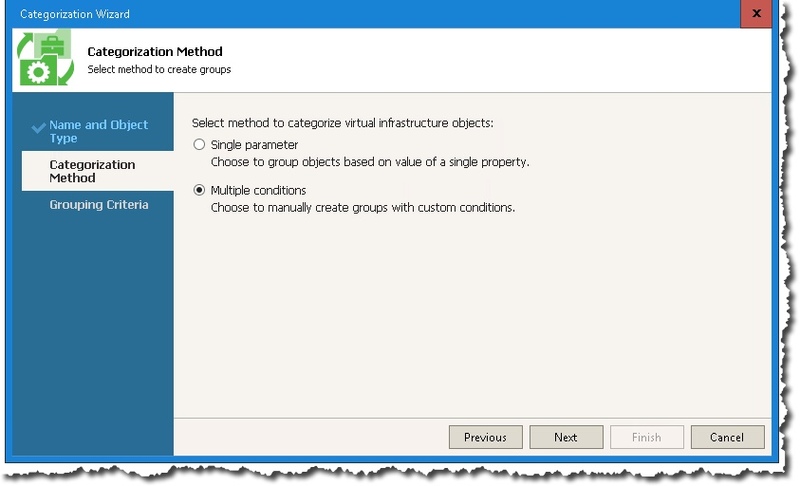 We look in VAO – Configuration \ VM Groups. So we can see that both rules worked. We can also tell this is different that tags too – note how it is Email – email for example? So now you know how to not use tags with VAO and instead use Business Rules. Business Rules are powerful, but I do not think they should be your first choice. vSphere tags are easy and flexible. 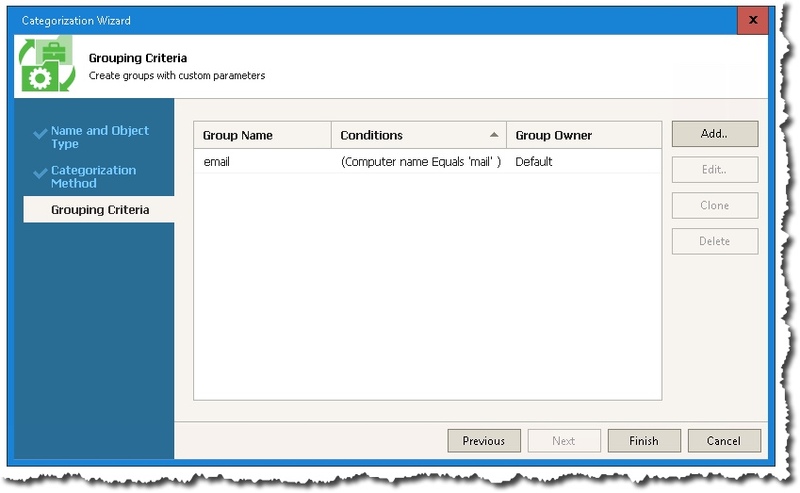 The fact you can do them in the UI or via PowerCLI is powerful and flexible. Plus they fit in automation a little easier too. As always, questions and comments are appreciated. If you are a VAO customer you can find all my VAO technical articles via this tag. Next Post Making iDRAC6 work with R710 – it wasn’t easy!